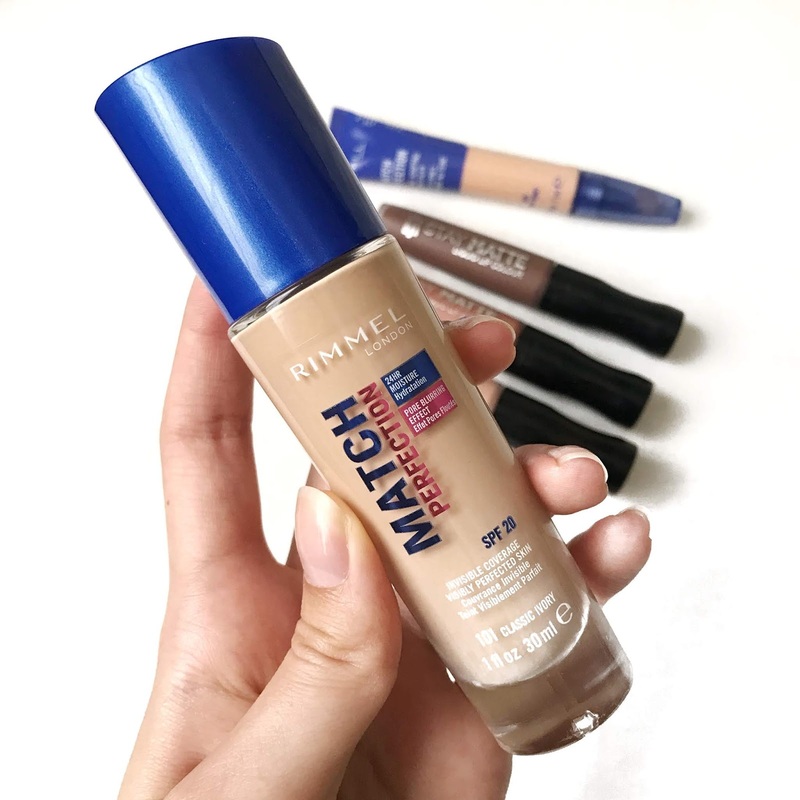 I recently received a Rimmel "Match Perfection'' VoxBox, courtesy of Influenster for testing purposes. Although the products were sent to me, all opinions of the products are my own! Items included in this VoxBox were the Rimmel 'Match Perfection' foundation and concealer along with three 'Stay Matte' liquid lip colours. This foundation was actually the very first foundation I ever bought. I know they have re-packaged and expanded this range, however, I was not quite sure if the formula was any different from the original so I was excited to give it another go. This foundation is £8.29 from Boots, Superdrug and feel unique. It is an invisible, weightless, blendable foundation with a 24-hour moisture complex to keep skin hydrated. It has SPF 20 and has a pore blurring effect. I love how non-cakey and smooth this foundation is, it blends and melts into the skin so nicely so it looks like you are wearing nothing at all. It is a light coverage foundation and I usually prefer a foundation that has more coverage. I have acne prone skin and any blemishes that I may have this will not cover but it will give my skin a nice even tone so I only like to wear this foundation when my skin is in good condition. This foundation seems to be exactly how I remember it, I do feel as though the old formula may have had more coverage but when I used that I also had better skin so maybe it was me. 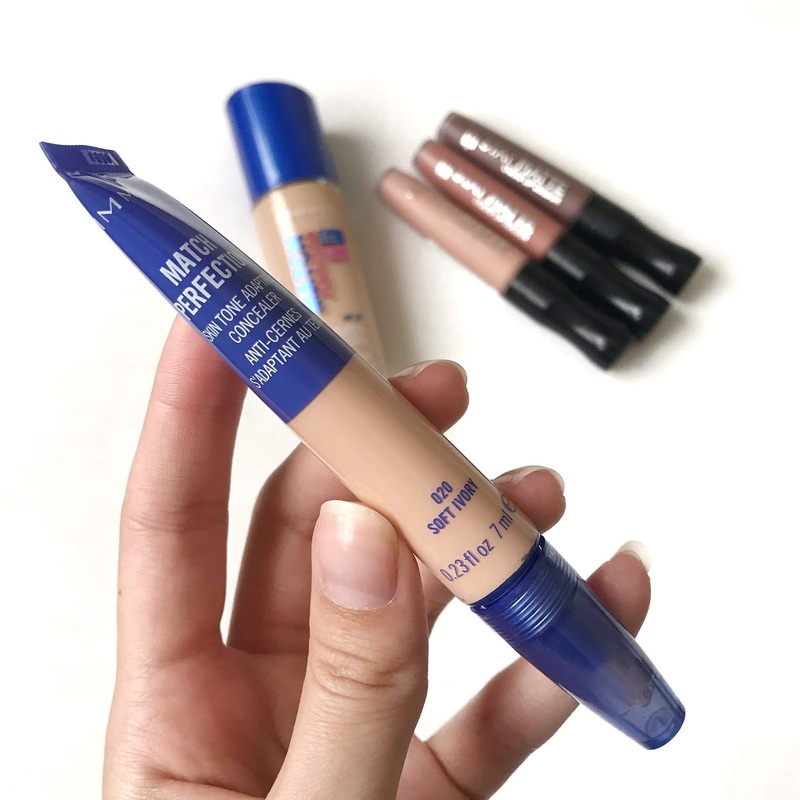 This concealer is £6.49 from Boots, Superdrug and feel unique. It is a skin tone adapting, blendable, lightweight concealer that helps to brighten and illuminate. While I do agree that this concealer brightens and illuminates the under eye area, I certainly wouldn't say it does anything spectacular to help cover my dark circles. It is a very lightweight concealer and does not settle into any fine lines so looks very natural. However, if you are looking for your bags to be gone then I would suggest looking for a different product. The shade I received was actually darker than my foundation and oxidised to be quite orange. I did go to boots and purchase a lighter shade, 010 Porcelain. This shade did not oxide and had more of a yellow undertone which I liked, as that is my skin undertone. I don't consider the shade range to be very expansive and I don't believe the shades range that well. I do not have pale skin but I found a shade to be closer to my skin tone instead of lighter to brighten my under eye. 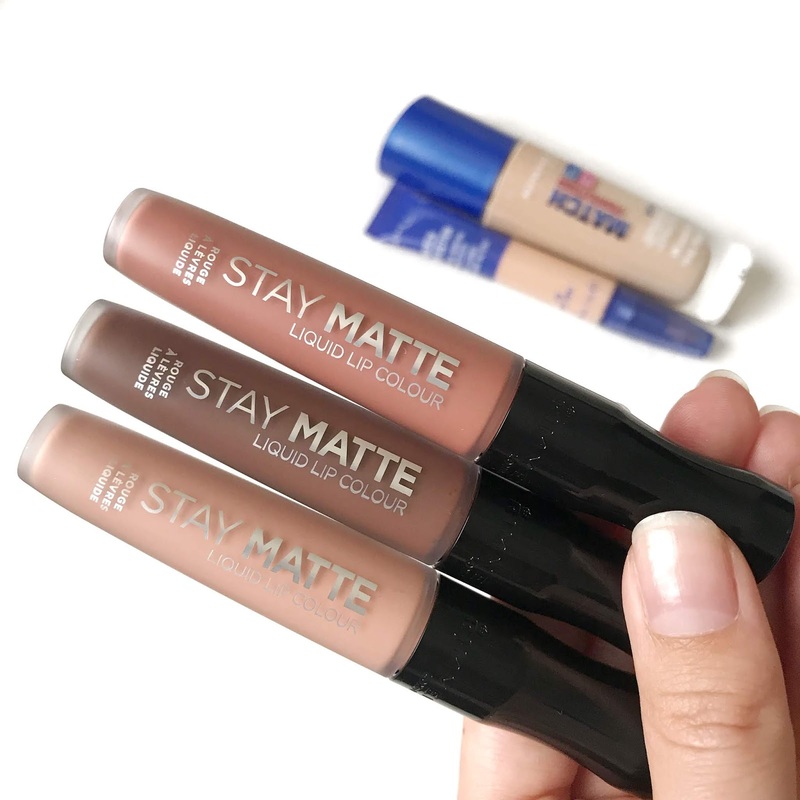 I have received and also purchased Stay Matte liquid lip colours before as I absolutely love them. They are £5.99 from Boots, Superdrug and Feel Unique, which I think is a bargain. They are a long-lasting, waterproof velvety matte liquid lip with high-intensity pigment. I believe these are one of the best budget liquid lip colours out there. I have purchased 4 shades myself which I wear all the time as they are comfortable on the lip for everyday wear. I have never seen a liquid lip stay on my lips for so long. I have used high-end liquid lipsticks that have crumbled off after eating or drinking. 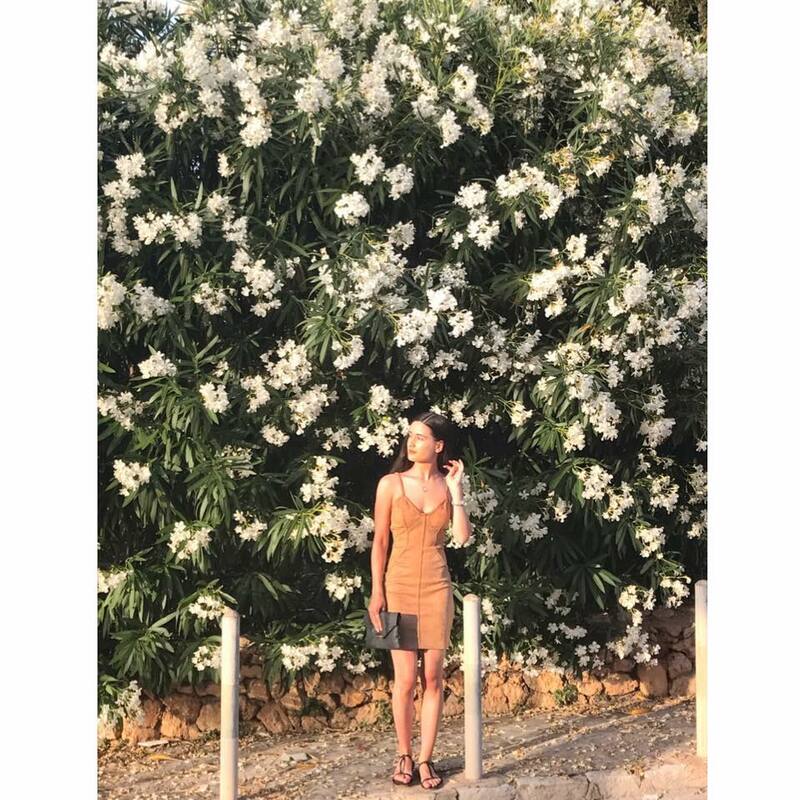 I wore a combination of two colours for a date night where I had oily food and at the end of the night there was still strong pigment on my lips, it astounds me every time. I couldn't recommend these lip colours enough, they are brilliant! Above are the swatches of the foundation, concealer and all 3 lip shades I received. 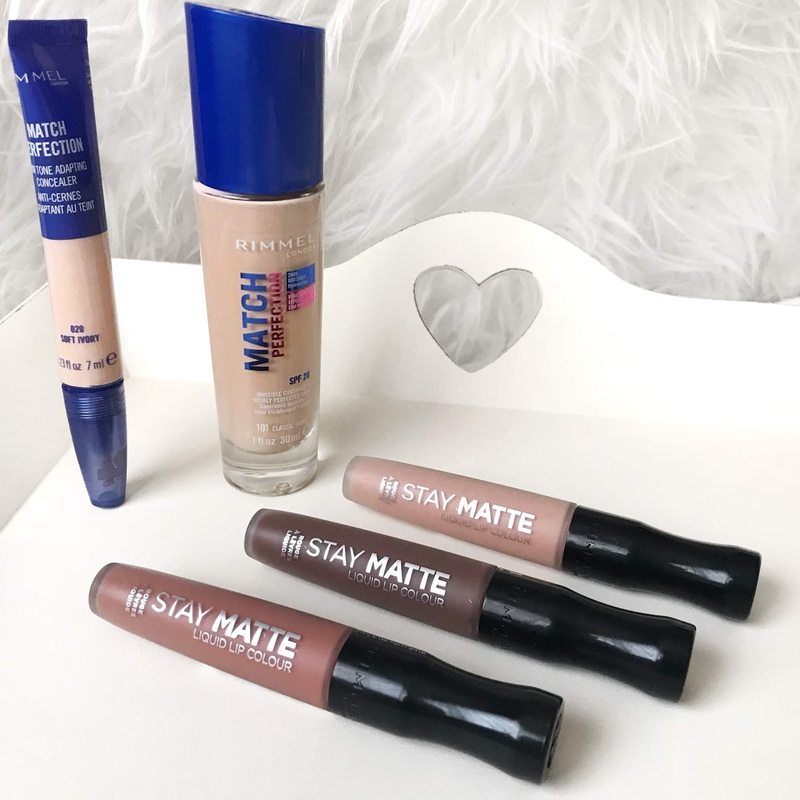 On my other Rimmel VoxBox blog posts, there are swatches of other shades I have bought and received if you would like to see more of the range. Have you tried any of these products? What are your favourite budget products?